Spring is here, chances are if you’re not on your lawn or in your garden, you’re hanging out on the deck. 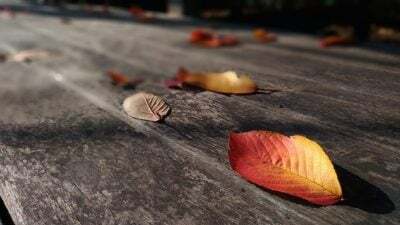 To keep a deck looking great, start by removing leaves and debris. Make quick work of them by using a blower or a broom. Leaves can also get caught between the boards. 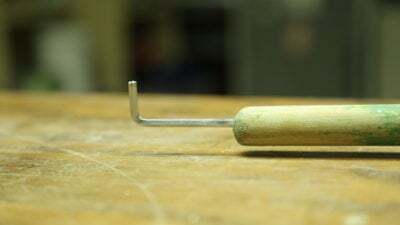 To remove them just screw an “L” hook at the end of a broom handle, then scrape away debris stuck between those boards. It’s important to get rid of the leaves as soon as possible. Leaves combined with moisture lead to stains or rotted wood. Clean the area thoroughly with mild soap or deck cleaner and a scrub brush. Remove caked-on dirt and mold using a power washer set on low-pressure setting. 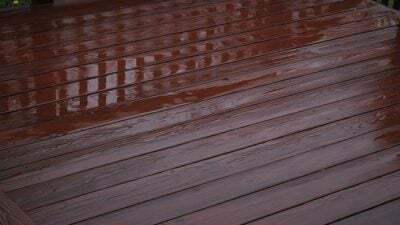 It’s important to regularly clean a wood deck to keep it looking good and prevent the wood from weathering or deteriorating over time. Here are some tips to get you started. Next, sand any splinters or rough spots. 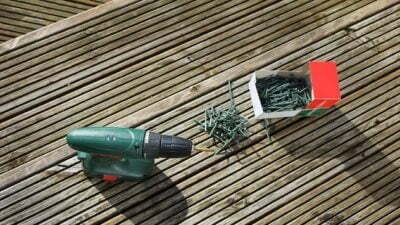 Drive in any protruding nails or screws, and replace any warped boards. To reduce future maintenance, pull out any protruding nails and replace with screws, which secure the wood better. Exterior wood steps can become slippery over time, especially when they’re wet. Make them safer by installing a peel-and-stick abrasive strip on the edge of each tread. Ensure the steps are clean and dry before applying the strip. Another option is to apply an anti-slip spray coating. 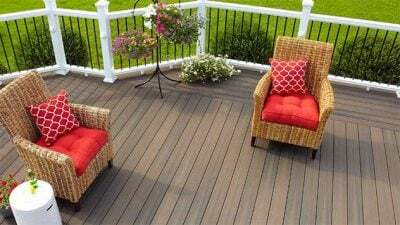 Finally, seal or stain the deck to protect it from rain and sun using a quality deck sealer or stain. It’s important to make sure new deck wood is ready for the stain. New wood requires some curing time to dry out and allow the pores of the wood to open. Test the surface by pouring a cup of water on it. 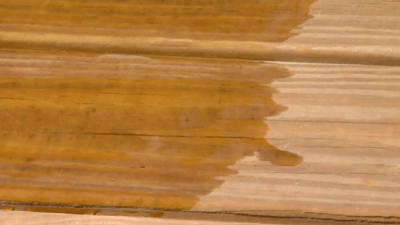 If the water soaks in within 30 seconds, the wood is dry enough to stain. If not, wait 4-6 weeks and test again. Once the wood has passed that test, apply stain when the outside temperature is between 50 and 80 degrees Fahrenheit. 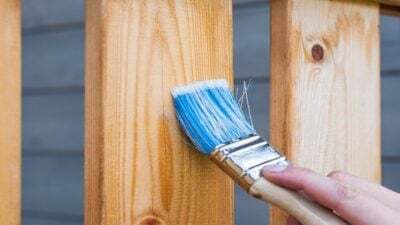 As with any paint or staining project, the key is the preparation. Cover any areas you want to protect, and sweep or brush the surface clean of any surface dust, dirt, and debris. Clean the outdoor furniture thoroughly. 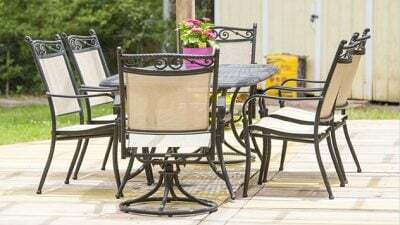 Regardless of whether the outdoor furniture on your patio or deck is made of wood, aluminum, wrought iron, or plastic, it takes a lot of abuse from the elements, including sun, rain, snow, and extreme changes in temperature. If you had cushions out all winter, replace them as they may have mold. Click here for tips on how to clean and protect any kind of outdoor furniture. Now you – and your deck – are ready to enjoy some time in the summer sun. Good point, Judith! We’ve rearranged the list. Um, I would say one of the steps is out of line. 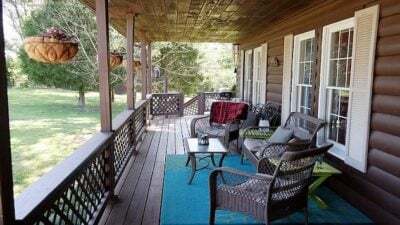 Clean- dry- treat- THEN get your furnishings for the deck, and if you have them already they would be hauled off the deck and ready for the cleaning too!The step sounded like just “furnish your deck”. It’s our trial- have to move all the furnishings and such off the deck to do the job!! Just sayin’.